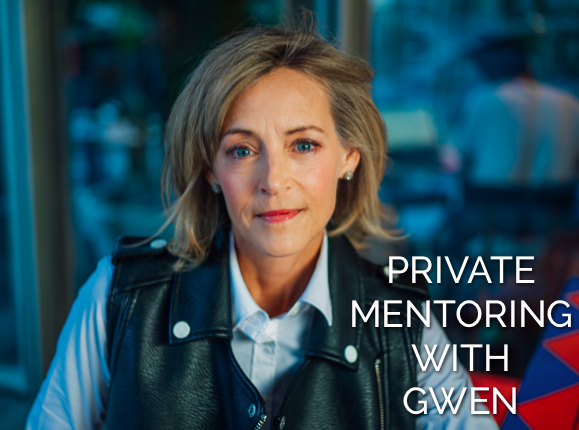 I’m so excited to help You “Get Started” with a One-On-One MentorRich program. So what does Mentoring Mean? The knowledge, advice, and resources a mentor shares depend on the format and goals of a specific mentoring relationship. A mentor may share with a protege information about his or her own career path, as well as provide guidance, motivation, emotional support, and role modeling. Coaching is estimated to be a $2 billion global industry that is rapidly growing. It is estimated by The International Coach Federation (ICF) that there are currently 53,300 coaches. The statistics should be encouraging about the value of working with a life coach. However, as someone in need of coaching, you should also look at these statistics as a call that you need to work with a coach that has credentials that you can truly trust. These days there are many different types of coaches available. While coaching has been proven to be one of the most influential things you can add to your life, the value of that coaching is based on using a coach that is equipped with the tools, knowledge, and character that allow you to see substantial changes. So the reason I have chosen to offer a Mentoring program versus a Life Coaching program are for the following reasons. It seems like everyone these days is calling themselves a Life Coach and I want to distinguish myself from the other 53,300 life coaches in the United States. There is a big difference in someone who has studied to get their credentials verses someone who has lived the journey with an incurable cancer diagnosis and is still living with incurable cancer. I have the practical experience, which is something that can’t be taught. As mentioned above, a mentoring program offers a relationship in which a more experienced or more knowledgeable person helps to guide a less experienced or less knowledgeable person. I have the experience that I want to share with others. I’m part of the cancer club and no amount of classes or credidentals can equate to the level of expertise I have in this area. Also, to have success as a life coach or mentor, you must have a system or a series of protocols that will give predictable results. When you work with me you’ll get the insights firsthand to how The 5% Solution can work and create positive results for you. I help people live their best lives by making changes to their health regiment and approach every day with a positive outlook. I have managed to outlive my doctors diagnosis of incurable cancer by making a series of small changes that have lead to big results. With the help of integrative medicine, I was able to make incremental progress to my well-being. Eventually, these lifestyle and mental changes worked so well that they became predictable. Now, I’m able to share my experiences and positive outlook with everyone so that you can all start making our own luck. I have made a decision to spend the rest of my life making a difference in this world by helping others. People are always asking me about my protocols, which have put me into the rare category to live beyond my expiration date. In this new program I offer a one-on-one private mentoring program to help you take action so you can lead healthier and happier lives. Everyday I make small changes in eight specific areas of my life, which continues to create enormously positive results. This enables me to live a higher quality life with more love and happiness than I could have ever imagined. This program is for those of you who seek to make improvements in your life that can help you live healthier and happier too. This one-on-one program is the culmination of my own experiences living with incurable stage IV metastatic breast cancer. Years of research, learning from doctors and making small changes in eight different areas of my life. I’ve taken my best practices, the most effective healing strategies that work for most people, and organized them into a simple straightforward one-on-0ne mentoring consultation for you to follow. Those of you who wish to take a proactive approach to surviving breast cancer, reducing your risks of a cancer diagnosis or reoccurrence. And even those who are disease free who want to live healthier and happier lives.